From August to September 2014 I did my IAESTE traineeship in The Gambia, a small country in West Africa. I study computer science at Graz University of Technology, Austria, and during the traineeship I worked for two Gambian IT institutes in Serekunda, the largest urban centre in The Gambia. While this was my first time in Africa, I’m glad to have spent the time in The Gambia — it was a wonderful experience. I was not the only student doing an IAESTE traineeship at that time. Johannes, a student from Germany, arrived with me at the same time. We even took the same flight, but didn’t know of each other. Johannes and I shared the accommodation and we spent our free time together. 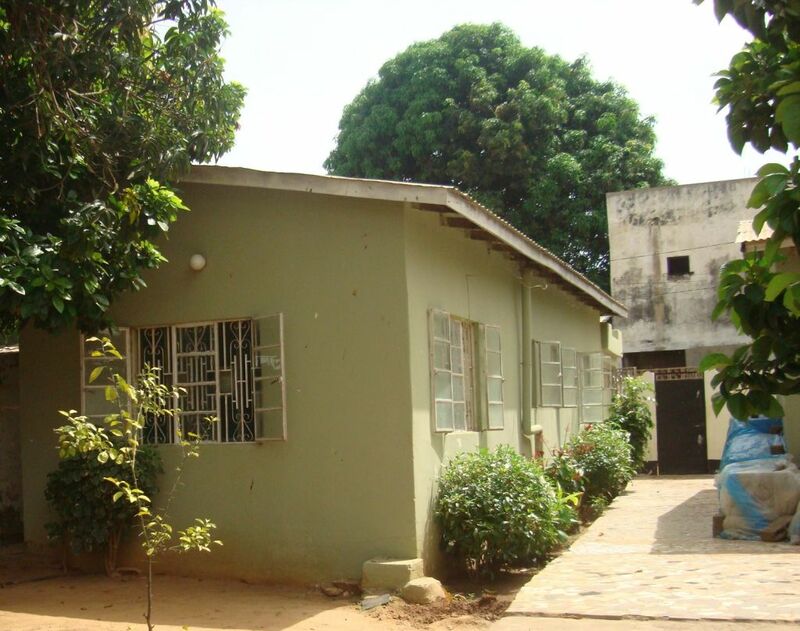 The accommodation was provided by IAESTE and we lived in Kanifing, a part of Serekunda. I experienced Gambians as open and very nice and friendly people. Without exception, everyone I met was nice and friendly. Luckily we also had very nice neighbors and we spent a lot of time with them. This was a great way to dip into the local culture. Several ethnic groups live in The Gambia, each having its own language. Therefore most Gambians I met speak at least three languages: English, which is the official language, and two local languages. And the great thing is: all ethnic groups live peacefully with each other. There are no ethnic, racial or whatever other conflicts in The Gambia. As a consequence of this peaceful mentality, the crime rate is exceptionally low (personally I never witnessed any police operation during my two-month stay). And I always felt secure, regardless of what time of day I went through the streets, even late at night. Gambia is a Muslim-majority country; this was a new and very interesting experience for me. Islam is really an important part of the daily life of most Gambians. I even had the possibility to accompany a friend to the Mosque and the imam happily invited me to come inside. I didn’t take part in the prayer, but I was present in the back of the Mosque and watched and listened. This was a great experience. From June to October there’s the rainy season in The Gambia, having its peak in August and September – the two months I’ve been there. But the early period of the rainy season was very dry this year with almost no rain. This was a big threat to the Gambian agriculture, the farmers were very concerned and people were praying for rain. In early August the rainy season finally took its normal course and it rained about every second day for about an hour or two, only occasionally for several hours. But always very intense, I haven‘t seen such downpours before. In general it was hot most of the time, but I could deal with the heat. Luckily the institutes I worked for had air conditioning or at least a big fan. In my room in the flat I also had a fan. Because of the 2014 Ebola virus epidemic in West Africa, my friends and family were a bit concerned about my decision going to a West African country. But thankfully there was no Ebola case in The Gambia up to the time of writing (November 2014). There was one case in the bordering country Senegal, which brought some concern to The Gambia. From that moment on, as a precaution, people were encouraged to stop shaking hands (which is a big part of Gambian culture) and also to wash their hands with soap several times a day. Thankfully, the infected person in Senegal was released from hospital a few weeks later and the concern in Gambia settled a bit. But of course, Ebola was and still is a big topic in Gambian news. The big problem for The Gambia concerning the outbreak of Ebola in neighboring countries was the absence of tourists. Gambia’s economy relies significantly on tourism, with many guests coming from European countries and the US. But many tourist agencies took The Gambia out of their program, because tourists were afraid of visiting a West African country, even if it is Ebola-free, like The Gambia. Personally I was more worried about Malaria. I took the usual precautions: I slept under a mosquito net, used an insect repellant and wore long-sleeved shirts and trousers in the evening. Still I had some mosquito bites which made me feel a bit uncomfortable, because you never known… To me it seemed that Gambians have a more casual way of dealing with Malaria. I did not really understand that: was I too concerned or were Gambians too lax? Medical care is quite good in The Gambia, at least in the urban area. There are many hospitals, and things like blood tests are done very quickly (we had to go to the hospital once). But – something a European easily forgets – there is no national health insurance in The Gambia and medical treatment is not easily affordable for everyone. This reminded me of how fortunate I am and how grateful I should be, to live in a wealthy country like Austria. 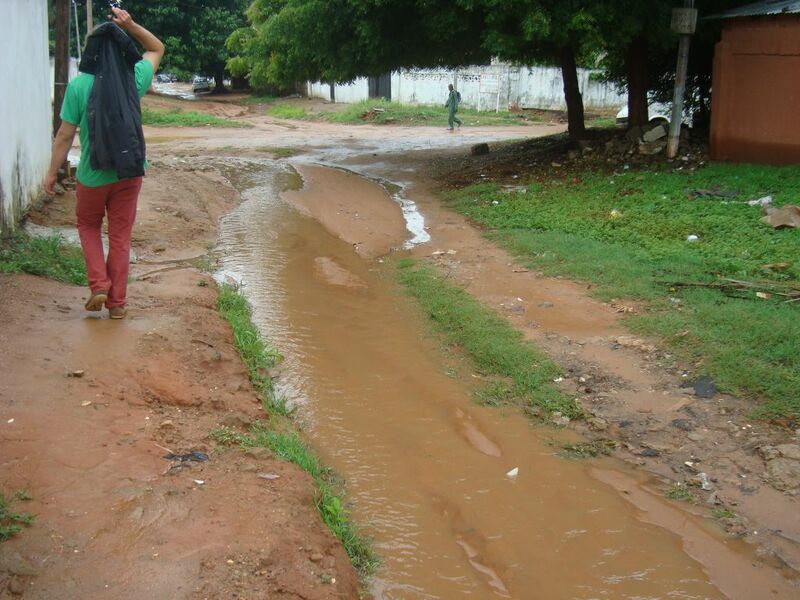 I experienced the infrastructure to be one of the biggest obstacles in everyday life in The Gambia. Water and electricity, for instance, are not always available. In the place where I lived, running water was only available from around 8 p.m. for a few hours. In this time we had to fill our buckets, which we used during the day. Electricity comes and goes at will. I don’t remember a day without a power cut. Power cuts are annoying, especially at work, but people are used to the situation and most companies have power generators. It is the same with Internet connection. There are several mobile phone companies in The Gambia, but, like electricity, Internet connection is also not reliable. Sometimes it works, sometimes it doesn’t, sometimes you have a fast connection, sometimes a slow one. There were even a few days in September when there was no Internet at all in the whole country; banks were not able to make transactions, etc. Unthinkable in other parts of the world, the providers would have been sued. But not that big of a deal in The Gambia, officially there was some „repair work“ going on, but nobody believed that. 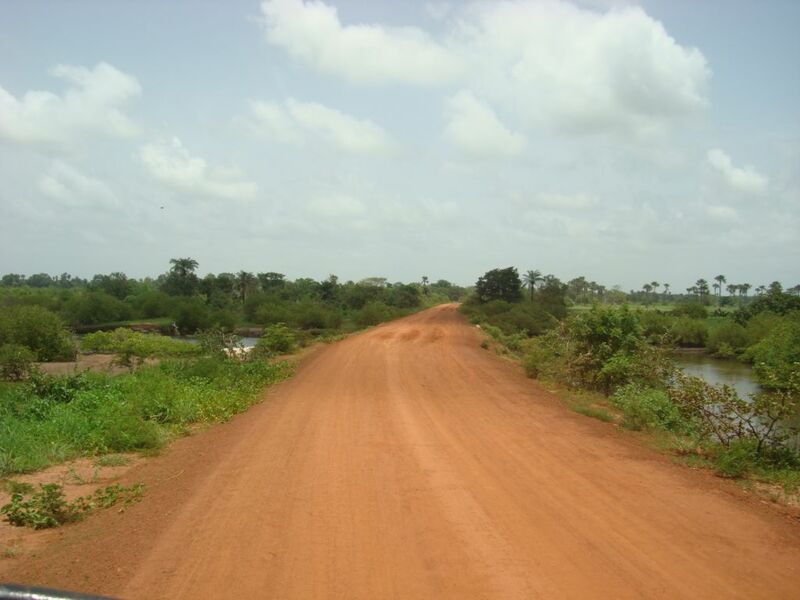 Only main roads in The Gambia’s urban area are asphalted, most other roads are rather poor and bumpy. For many roads that I’ve seen, in the rural as well as in the urban area, it’s best to have an all-terrain vehicle; other cars are very likely to ground on a road hump. 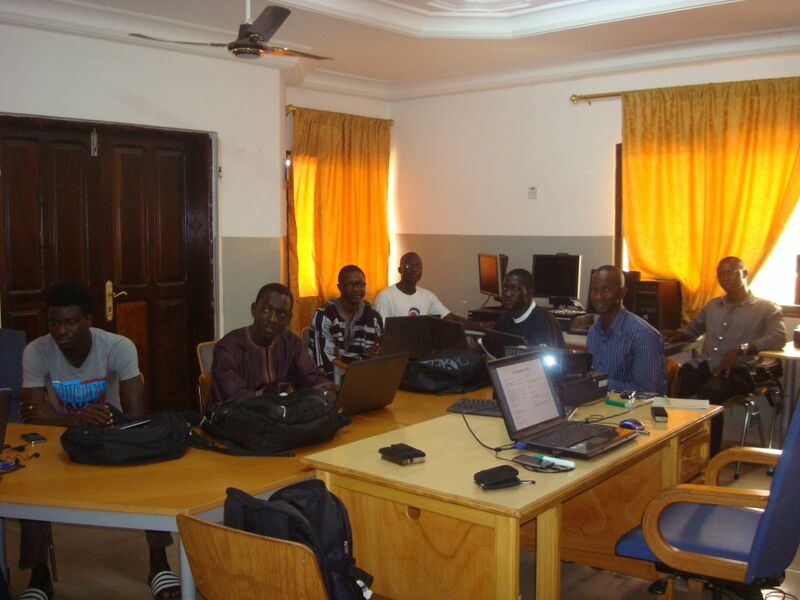 I worked for two Gambian IT institutes, both operating in the area of adult education: Gamtel Technology and Multimedia Institute (GTMI) and MicroTech Institute of Multimedia and Technology (MicroTech). Both institutes have a broad range of IT courses in their programs, but none of them offers a programming course. My special interest is in programming and programming languages, so after some discussions I got the very interesting task of creating and giving an introductory course to programming at MicroTech. I was very excited about that, because I had never given a course before, so it was a totally new experience for me. Creating the course was a lot of work. I was working from Monday to Thursday at GTMI, the other institute, and gave the programming classes on Fridays and Saturdays morning and evening. So I had to prepare the course materials in the time between classes or in the evenings during the week which was keeping me really busy. Because this was an introductory course for students without any prior programming experience, I decided to teach the very basic programming principles (variables, data types, conditional statements, loops, subroutines) by using VBScript. There are many nice places to see in The Gambia, but unfortunately I was too busy with my work to see many of them. 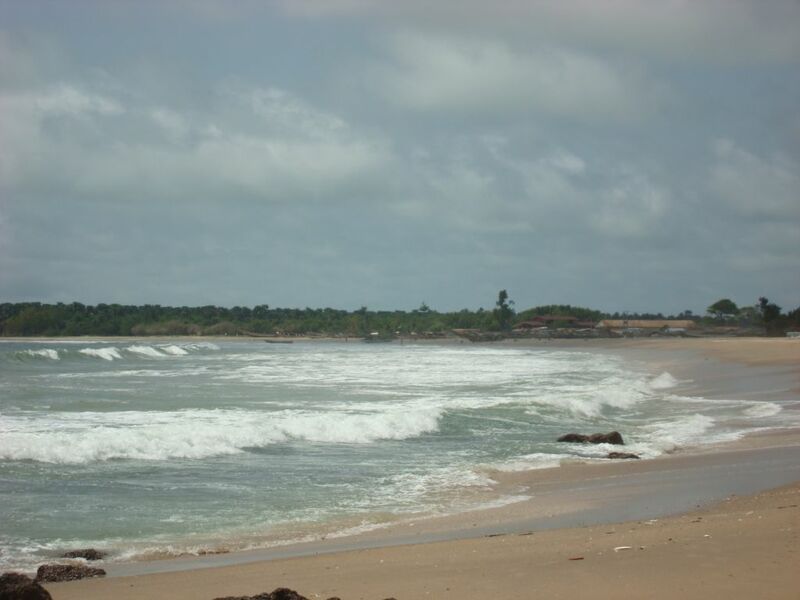 Also August and September is not the best time for tourists, December and January is the high season in Gambian tourism. 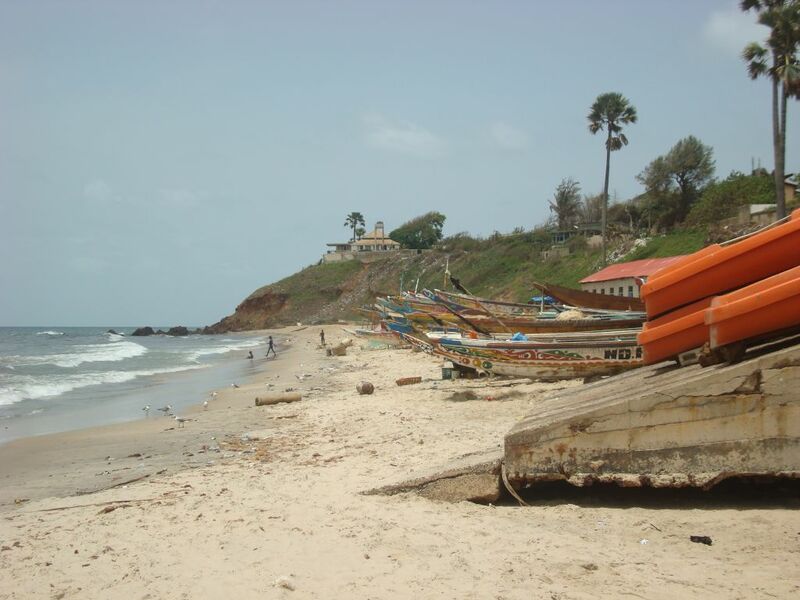 The Senegambia area offers nice and clean beaches and a vibrant night life, but also the countryside has plenty to offer: historical places (e.g. a museum of the era of slavery) as well as wildlife. I really enjoyed my two months in The Gambia and highly recommend an IAESTE traineeship in this nice country. Nice people, intersting work, good climate – what else do you need for a great traineeship? This entry was posted in Uncategorized by Wolfgang Tertinek. Bookmark the permalink.